Silvia Strobos is a dutch artist who lives and works in Switzerland since 1998. After attending the higher School for Design and Communication, she got her Master degree in Arts of History and Culture at the Erasmus University Rotterdam. 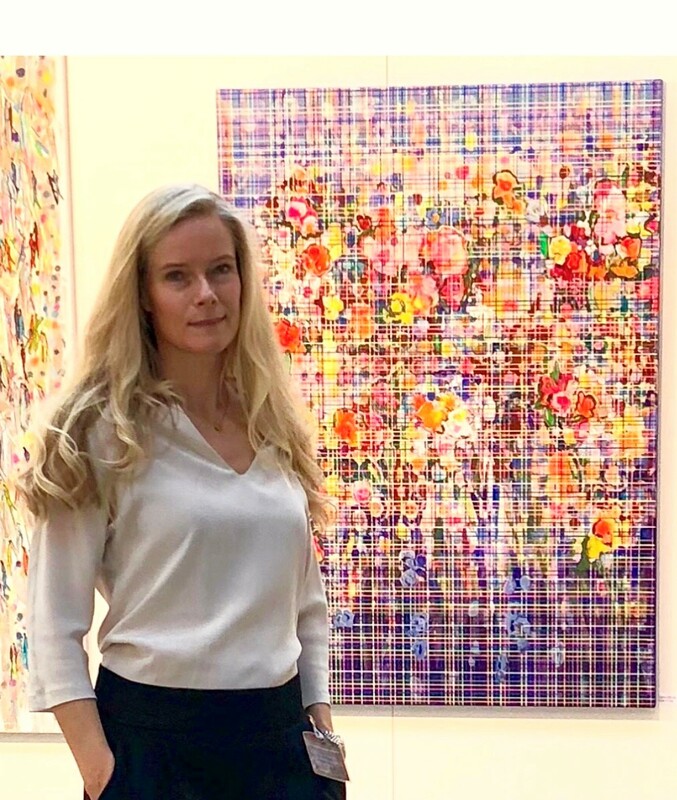 At the end of 2012 she had her first exhibition in Erlenbach and from then on exhibited in galleries, at Art Fairs (Art int. Zürich, ARTMUC Munich) and in several Hilton Hotels in Europe. The main theme of her work is the different ways in which people are connectedto each other. It is a search to visualize human interaction with paint and canvas as a medium. The paintings are built out of many layers of people, not visible at first sight. This corresponds with the sometimes incomprehensible and complex human interaction. Besides her personal interest in people she thinks that our changing society due to internet and social media caused her urge to express this new and unique situation.